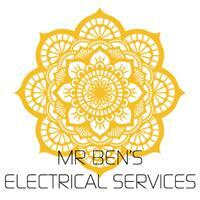 Mr Ben's Electrical Services - Electrician based in Bournemouth, Dorset. As a fully qualified electrician with years of experience Mr Ben is here to help make your plans a reality. We are a family run business and strive for attention to detail along with finding what’s best for you. We can assist you with all types of residential electrical services such as updating light fittings, Consumer unit installation, Adding or removing sockets and switches and much more. We can also help you take the next step in your business with electrical work at your shop, office, restaurant, warehouse and any other commercial location. We will always take into consideration your normal operating times so contact us to find when is best to carry out any work. For a free estimate we are just a call or click away.